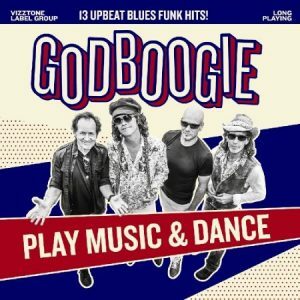 Comprised of four veteran Canadian musicians, Godboogie is lead by Jerome Godboo. A singer and harmonica player, Godboo came to fame several decades ago as a member of the Phantoms rock band. Later, he was received the Lee Oskar award for Best Harmonica Player at the 2014 International Blues Challenge, selected from the semi-finalist acts. Joining him are guitarist Eric Schenkman from the Spin Doctors, Shawn Kellerman from the Lucky Peterson group on guitar and bass, and drummer Gary Craig, who tours with Bruce Cockburn. The title track starts things off with a nod to Louisiana. Godboo plays accordion to give the track the proper seasoning. The following track , “Honey Badger,” is more indicative of the band’s approach. 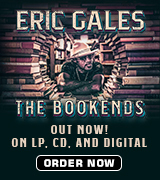 It is full-throttle blues with a heavy beat and an amped-up guitar sequence. “Wounded” slips into Magic Sam territory as Godboo gives a passionate performance that occasionally sacrifices proper pitch for an enthusiastic delivery. 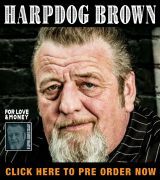 His harp playing favors the John Popper school over legends like Little Walter. You can hear that on “It’s A Party,” as he blows a cascading stream of notes at a rapid-fire tempo. The lengthy guitar solo, presumably from Schenkman, is a mind-melting escapade. Many tracks have a loose feel that values energy over musical precision. “So Far Away” is a spirited Jimmy Reed – style shuffle about missing a love interest with more extended blowing from the leader and a twisted guitar solo. “Real Dude” benefits from a scratchy guitar line that counterbalances Godboo’s entreaties to “shake your booty”. Another track, “Workshop,” has a grinding rhythm behind Godboo’s tribute to the the place he goes to for peace and quiet. The band sounds more comfortable once the pace slows down. “Kitty” sports guitar riffs appropriate for rock arenas while “Sign Of The Times” has one of Godboo’s strongest vocals plus a frenzied guitar workout. “Call On My Love” is a moving ballad, a standout on the all-original program. The closing track, “Tigers, Horses, Kings, & Queens,” finds the band quickly building to a frenzied delivery that fades away for a measured conclusion. Godboogie sounds right at home on these tracks, offering a rambunctious program that veers toward the rock side of the blues spectrum. Make sure you check this one out if that style is your cup of tea!